The idea is very simple. We used some stock photos and a very blocky typeface. Instead of spending my time looking for the perfect font, I decided to create it in Illustrator. So the first steps, we will show you how to create the font, then we will show you how to mix that with the photos. Open Adobe Illustrator and create a new document of 1024px x768px, and make it a Landscape mode save it as Water typhography.ai. Now go to View>Show Grid. Then select the Rectangle Tool (M) and create squares like the image shown below. 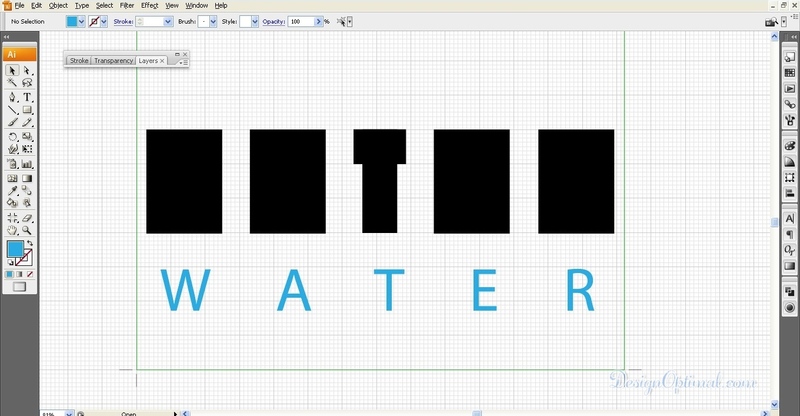 The idea is to create WATER word using rectangles. 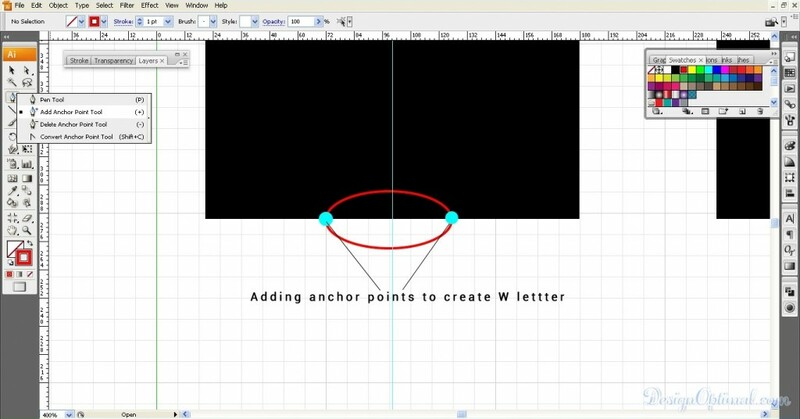 To create the “W”, select the Pen Tool (P) and further select the add Anchor point options. Then add 2 points, 2 blocks away from the center, as shown in the below image. 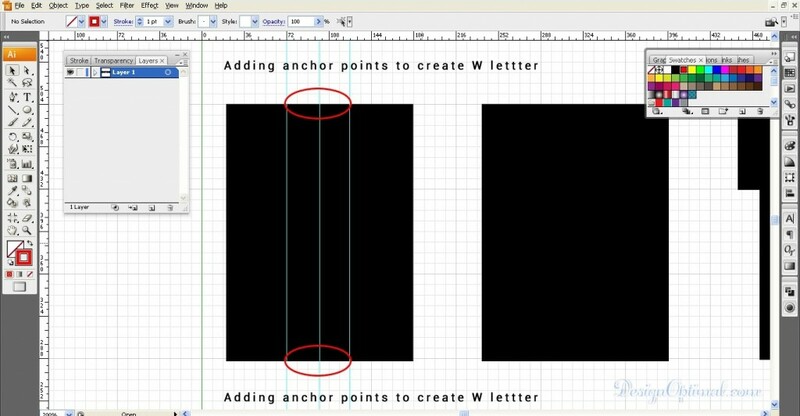 Do the same by adding new points to the top part of the rectangle that you’re using to make the “W” letter. Now make another two anchor points using the same tool in order to complete the “W” letter, as shown in the image below.